A graphic designer works to create a company’s personality. Graphic designs create or define a visual personality. Other times, graphic design stays quiet–working unnoticed, not to distract viewers from the essential message of the communication. When one hears “it just doesn’t look right,” it’s time to stop and ask more questions. Either an inexperienced graphic designer is working too hard–creating problems, or the client hasn’t adequately expressed their perspective on the desired type of personality. Even when this is the case, there might be an occasion where a great graphic designer can challenge that position and prove there is a better solution. 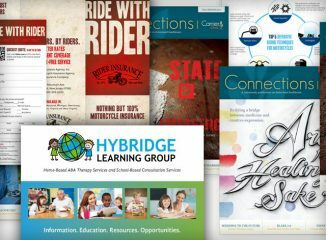 Bottom line: Put graphic design back where it belongs…a vital component of great advertising, deserving more attention, discussion and evaluation between client and agency.